Forgive me for shouting! Everything sorted! had a slight glitch with the slave cylinder! I forgot to tighten up the new pipe causing it to splurge silicone fluid every time I pump the clutch eventually causing a non-existent clutch! That sorted today (about 45 mins) I took the Spitfire for some fuel and a wash as it needed a clean after the LaCarrera Cannonball and all the greasy fingerprints on it from pulling the engine and box in and out! 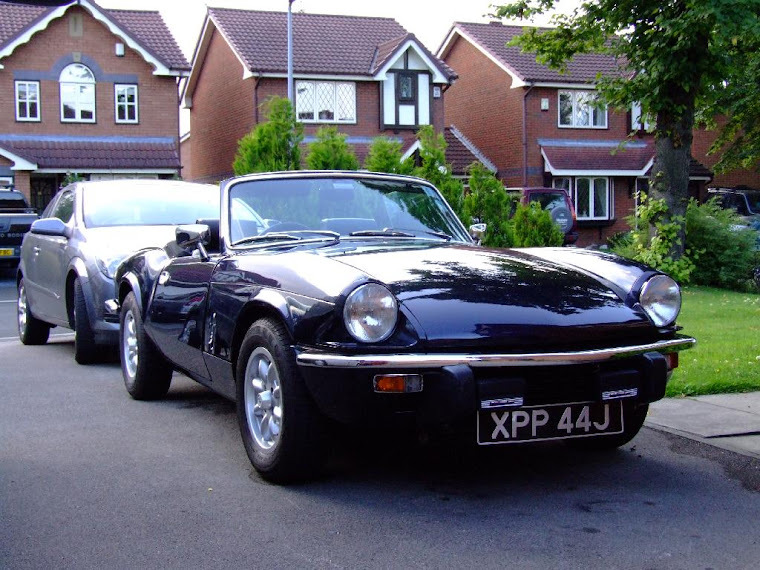 So there I am driving a clean and shiny Triumph on lane 3 of the M62 when pop the engine cuts out and loosing power before stopping all together! I flattened a battery pack trying to get it started and at this time do not know why it has stopped and refused to start??? I know I have fuel to the carbs and oil in the engine but as for compression and spark?? I have no idea. However there is a silver lining. when the car came off the recovery truck it had not dropped any oil! A very pissed off ROB. If you're still using standard ignition components, then with a sudden failure like that I would put a fair wager on your rotor arm failing. Get one of the new ones available from Rarebits4Classics, Canley Classics, TSSC shop, etc and see if that fixes things. Paul beat me to it Rob. Had the identical thing recently with mine and it was down to the brand new rotor arm fitted the night before. Cheers Paul/Doug thanks for the advice, I have been running megajolt for ages so no points or rotor arm. Well chuffed it was nothing serious, and a little embarrassed it was somting so silly!